In the second presentation of the Earshot Jazz Spring Series, Ben Williams put on a tremendously pleasing show last Saturday night. Rising-star bassist Ben Williams performed with his group at the Seattle Art Museum, downtown. 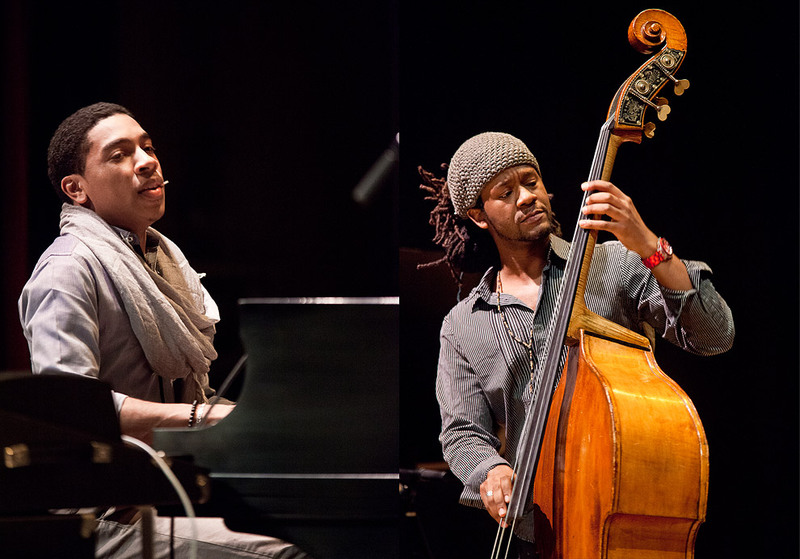 The Washington DC-born, Harlem-based bandleader, musical educator, composer, electric and acoustic bassist was the winner of the 2009 Thelonious Monk Institute International Jazz Competition, an award that helped the young artist produce his debut CD release State of Art. 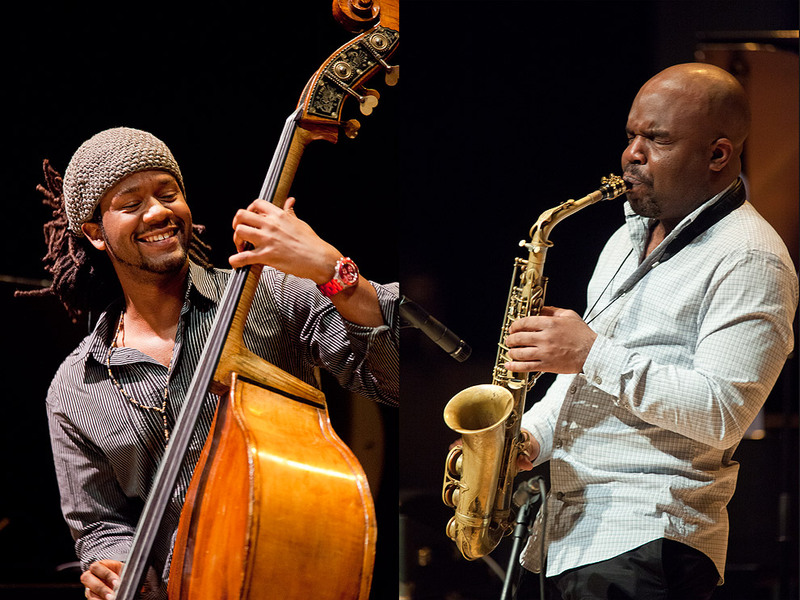 That record has galvanized Williams as an emerging and prominent voice in the jazz today. State of Art is a mature statement stamped with his voice: “I wanted to make an album that regular nine-to-five people could enjoy,” Williams says, “and to make a deep artistic statement as well. I like music that grooves, and I make sure that my music feels good.” Even before the release of State of Art, Williams was one of the most sought after young bassists in the world; his resume is a who’s who of jazz wisdom: Wynton Marsalis, Herbie Hancock, Pat Metheny, Terence Blanchard, Christian McBride Big Band, Nicholas Payton, Paquito D’Rivera, Cyrus Chestnut, Benny Golson, Roy Hargrove, and Mulgrew Miller, to name a few. 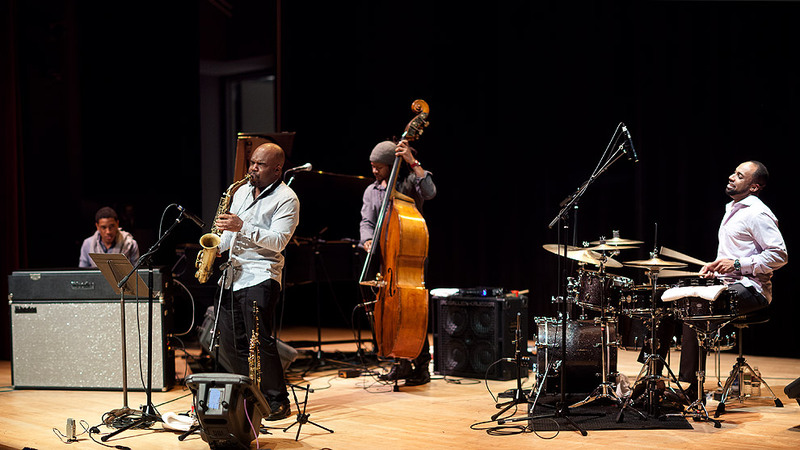 Williams’ warm, woody tone, flowing groove, melodic phrasing and storytelling approach has found favor among musicians, but also a larger audience. On the bassist’s appeal, Nate Chinen of the New York Times writes, “Williams took several long solos in his first set at The Jazz Gallery … and each one felt more like an entitlement than an indulgence.” He’s a natural who shares through his music what he sees happening in the world right now. From the liner notes of State of Art, by Williams: “This album is my honest and humble attempt at expressing (musically) what it feels like to be alive in 2011.” In this February’s issue of JazzTimes magazine, writer Giovanni Russonello reports on Williams and contemporaries in Harlem doing just that – Christian Scott, Gerald Clayton, Justin Brown, Jamire Williams. 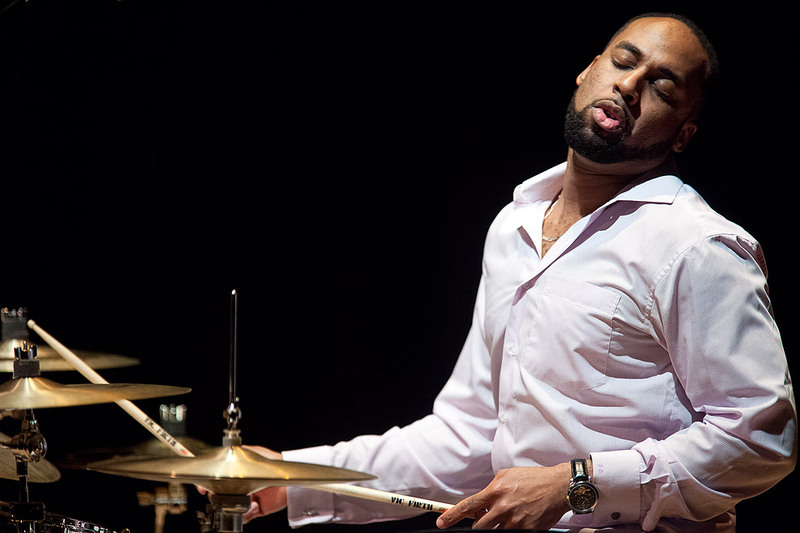 “It’s almost like a second coming of the Harlem Renaissance,” trumpeter Christian Scott says.